Gulf Coast Paintball is the only place in Slidell to experience the sport of paintball in a safe professional environment. 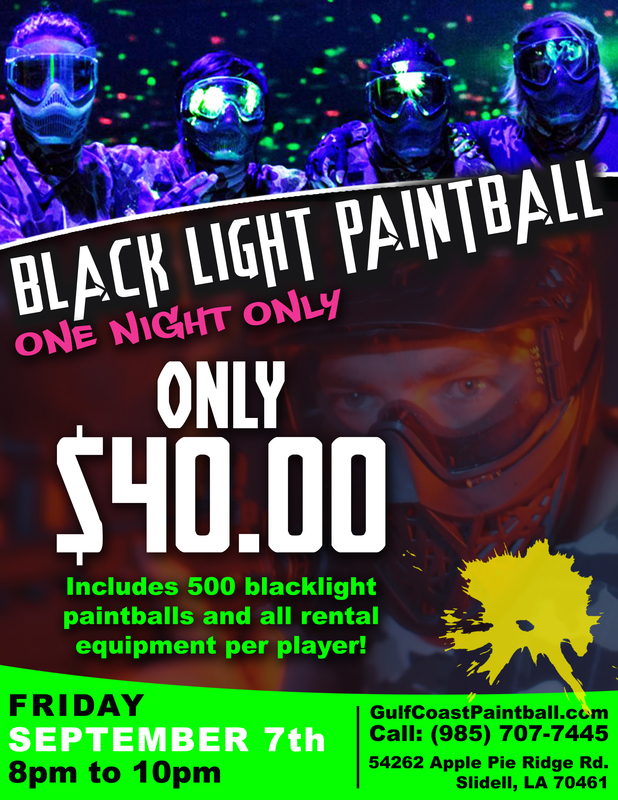 All our referees are trained and every person playing at Gulf Coast Paintball will be given an extensive safety briefing and detailed instructions on the use of their rental equipment. All games at Gulf Coast Paintball will be organized and overseen by a Gulf Coast referee. Unofficiated games are prohibited. Give us a call today or stop in to get started!